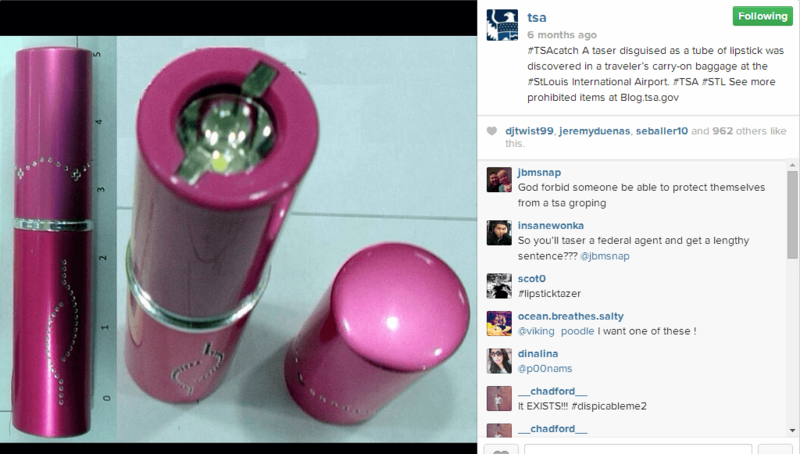 Think you can sneak that bejeweled lipstick taser past the TSA? Think again. 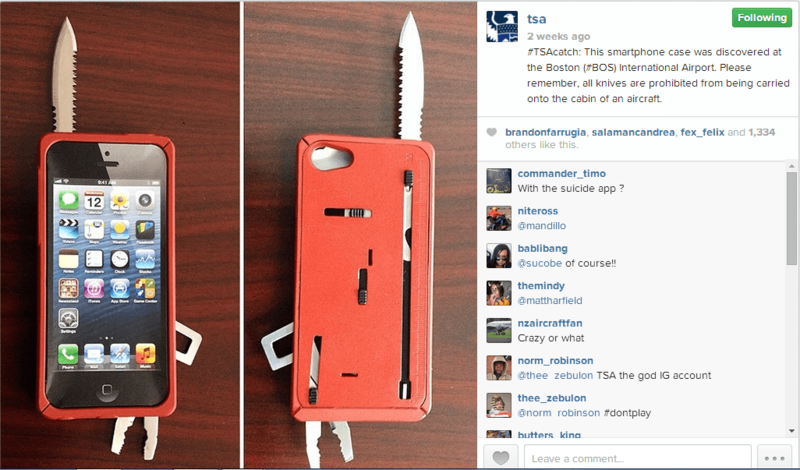 The TSA is nearing its one year anniversary of using Instagram to educate travelers on what not to pack by featuring photos of real items confiscated from airports across the country. The account was created in June of 2013 and features a range of confiscated items, from guns, to grenades, drugs and martial arts weapons. There are also a number of seemingly everyday items confiscated that conceal knives such as keys, iPhone cases, credit cards and combs. The goal of the account is to engage with travelers and use photos to reinforce items on the prohibited list. According to ABC News, the account is one of the many ways the TSA engages with the traveling public to provide timely information that assists them in traveling safely. 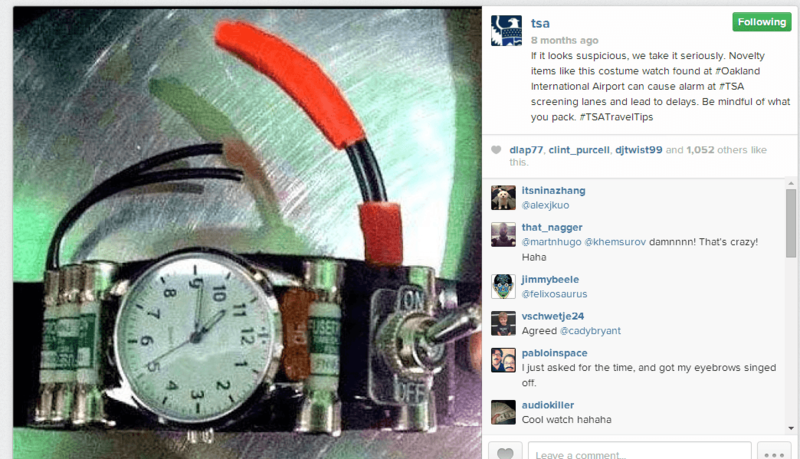 Each confiscated item is featured on the TSA’s Instagram and Twitter accounts with a dedicated hashtag, #TSACatch. The photos are shared with a caption that includes the airport they were confiscated, plus relevant tips or stats. 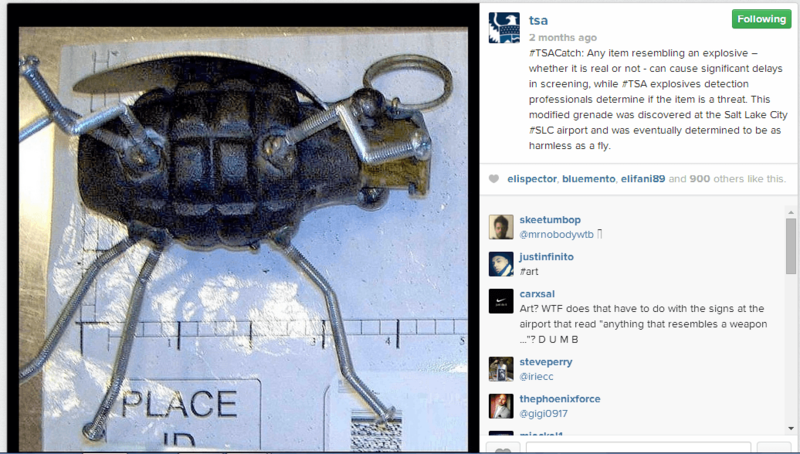 In addition to the items confiscated, the TSA’s Instagram account shares photos and information about its TSA Pre✓™ program, the canines trained to respond to explosives, community events, and more. Please remember, all knives are prohibited from being carried onto the cabin of an aircraft. All live grenades – or anything that resembles a grenade – are prohibited from both checked and carry-on luggage. Unless you are a law enforcement officer that meets the requirements of Title 49 CFR § 1544.219, firearms are never permitted in the cabin of the plane. 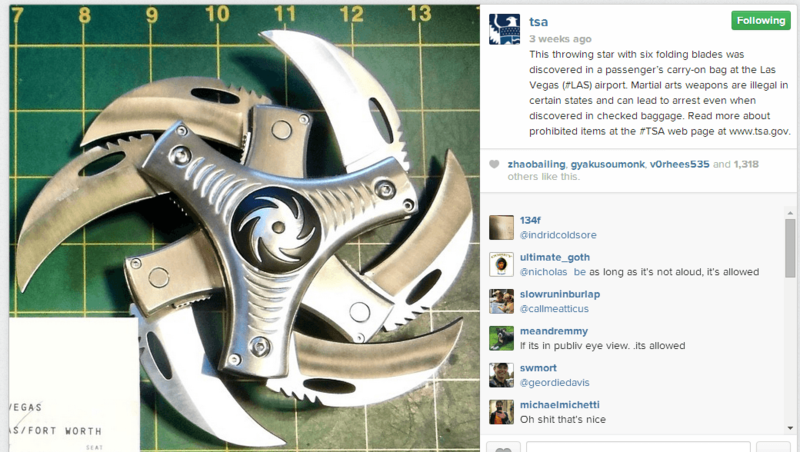 The TSA also features a more detailed account of these items on its blog. There is also a notable weekly roundup that shares confiscated items of the week across the country. Still unsure if your item is on the prohibited list? There’s an app for that. The My TSA Mobile App helps to answer those questions and more.